Marketplaces integration services > Blog > PrestaBay Pro and Startup update — New Gallery, Feature table, etc. New version of PrestaBay Startup & PrestaBay Professional available for downloads. PrestaBay Pro version include new feature of sending email notification about critical error in ebay synchronization. Currently alert could be send for problem with order import (out of stock product, not found product, etc) and running automatic synchronization. To activate this functionality please open page "Catalog->Ebay->Synchronization" section 'Email Alert', set your email and put option to 'Enable'. 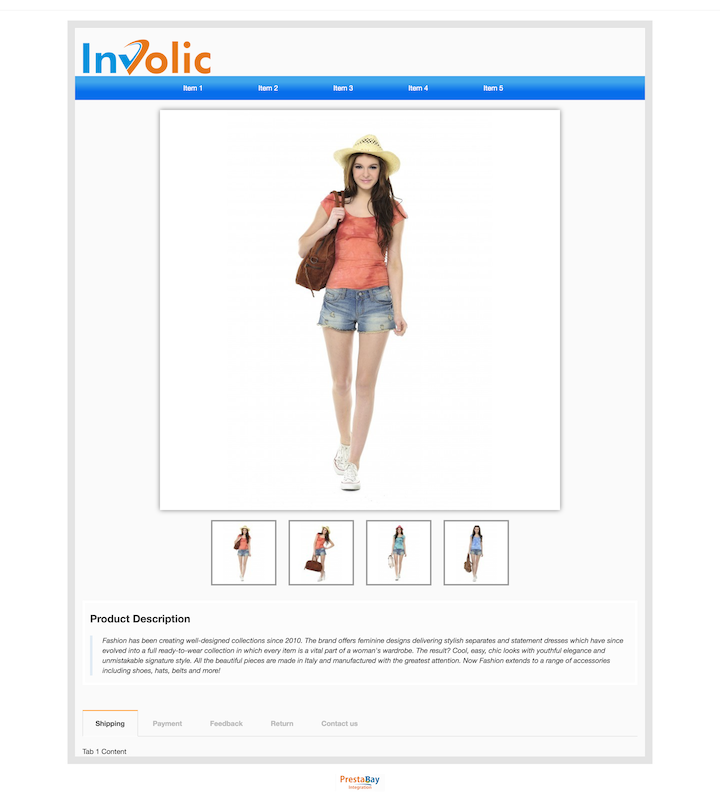 In Description template you can use special tag [product_features_all] that will build table with all PrestaShop product feature. Also for Professional version available additional tags that output ebay category id, ebay store id, ebay price. Now it's possible to select what image will be used as main image (before only default image could be used). For listings that use 'Attribute' mode only image from specific attribute will be send. So in listing with black T-Short you will not see white T-Short. 'Get it Fast' option removed from Selling Profile (not available anymore at ebay). 'Global Shipping' added for PrestaBay Startup version (already available in Professional version).